In Nov. 2015, Canadian mining company Lucara discovered a 1,110-carat diamond in Karowe mine in Botswana. 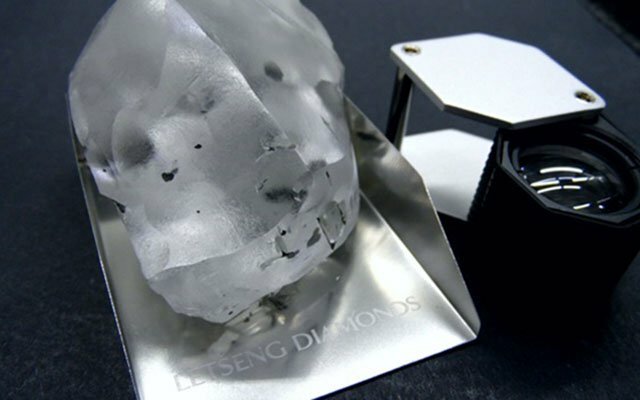 The tennis ball-sized diamond, later named Lesedi La Rona, meaning ‘our light’ in Tswana, was the largest diamond discovered in more than a century. However, at a June 2016 auction, a sale failed to materialize as the highest bid for the stone was $61 million—$9 million less than the owner hoped to sell it for. It was eventually sold in Sept. 2017 for $53 million. Before now, 9 of the 10 largest diamonds ever discovered have been found in Africa: Four in South Africa, two each in Sierra Leone and the Democratic Republic of Congo and one in Botswana. But African countries have a difficult history with diamond mining, particularly in countries like Sierra Leone and DRC, where diamonds have been shown to help fund conflict in those countries and others. In South Africa, diamond mining once helped support the oppressive apartheid political system.